A quiet week with lots of lovely cuddles like this. 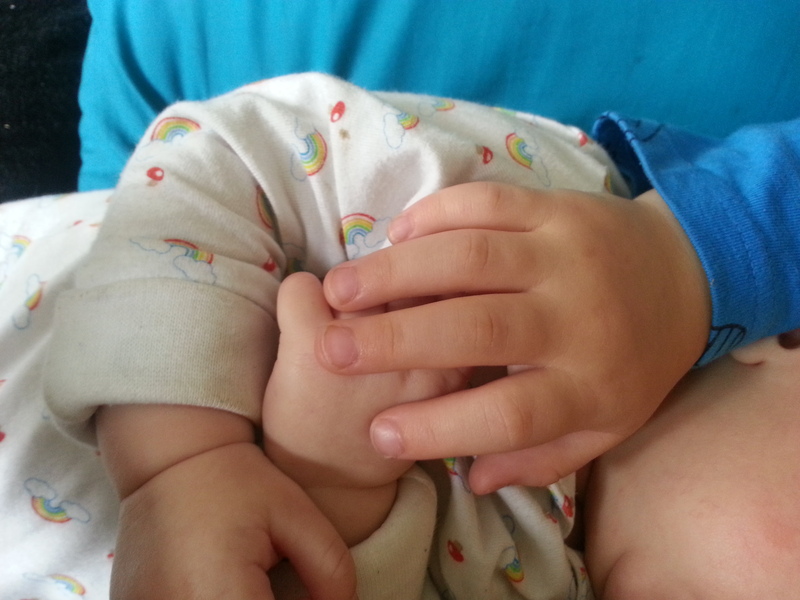 Aww that’s just such a cute picture – they both have such little hands! !